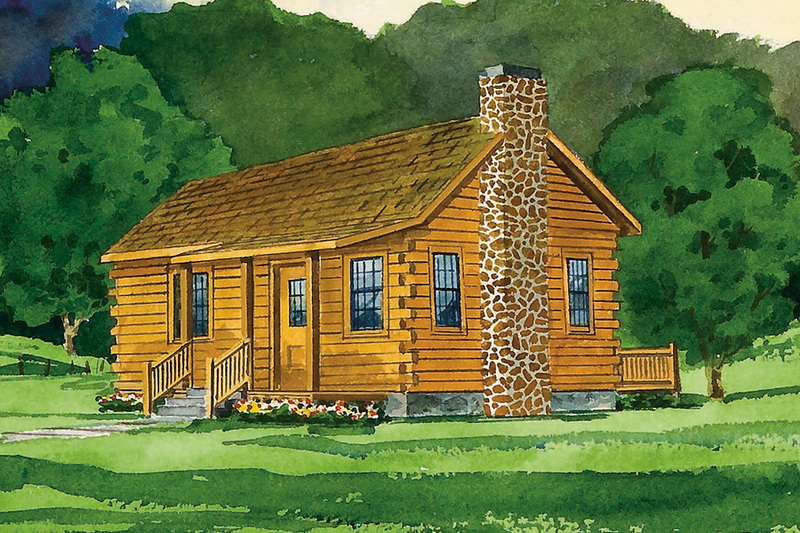 The Vacationer is perfect as a rental cabin for investors or couples desiring an inexpensive getaway or vacation home. It features the inviting front porch and rear deck for those quiet evenings outdoors. Inside, the great room is the gathering place for chats around the fireplace, especially during those cool evenings. 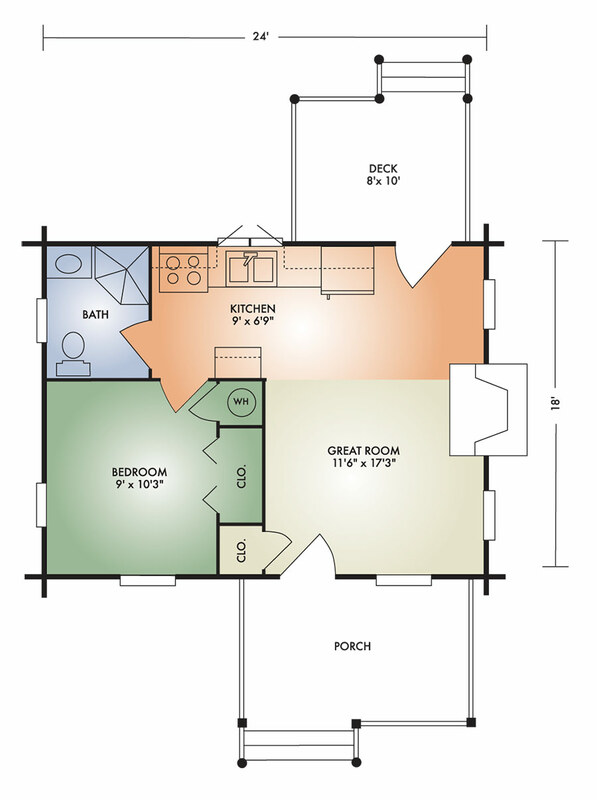 The open-concept makes this cozy little cabin appear larger than it really is. The 1x6 tongue-and-groove ceilings throughout give this a true cabin look. So if you didn''t think you could afford that little cabin in the woods or on the lake, you need to check out this little gem.